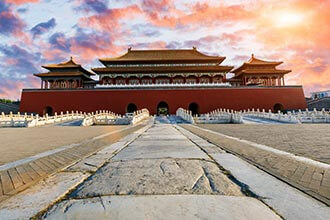 Enjoy a memorable trip of a life time with one of our incredible escorted tours to China. For many, travel to China is the fulfilment of a dream. 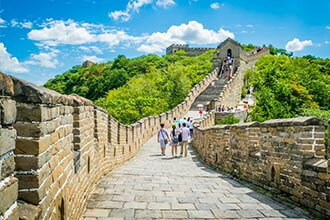 Discover popular touring destinations including Beijing, Shangai and The Great Wall of China. To explore the Forbidden City, home to Chinese emperors over the centuries, to gaze in awe at an entire army of Terracotta Warriors and to walk proudly on a Great Wall that stretches for over 4,000 miles. And yet these famous sights are only the first steps in discovering this fascinating land. A land of beauty with its poetic landscapes around Guilin, dramatic gorges along the Yangtze and striking mountain scenery in Nine Villages Valley. For the more adventurous, there is the opportunity to travel along the ancient Silk Road or venture overland into mystical Tibet.Yet beyond these great wonders, the most enduring memory is often the charm of the Chinese themselves. Use the search form above to see what tours are available at this time or alternatively you can use the links below to search for escorted tours going to popular destinations in China. 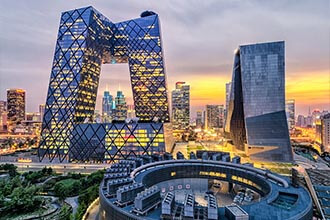 Beijing City is an independently administered municipal district. It is situated in the northeastern part of China at an elevation of 43.5m above sea level. The climate in Beijing is of the continental type, with cold and dry winters and hot summers. Beijing's permanent residents are from all of the different ethnic groups found in China with the Han's comprising over 96% of the population. Mandarin Chinese is the language spoken in Beijing, with Beijing's dialect being the standard form of Mandarin. The Great Wall of China was built over 2,000 years ago, by Qin Shi Huangdi, In Chinese the wall is called "Wan-Li Qang-Qeng." The Great Wall is one of the largest building construction projects ever completed. It stretches across the mountains of northern China, winding north and northwest of Beijing. With a history of more than 2000 years, some of the sections of the great wall are now in ruins or even entirely disappeared. However, it is still one of the most appealing attractions all around the world owing to its architectural grandeur and historical significance. The Forbidden City is the best preserved imperial palace in China and the largest ancient palatial structure in the world. It is recognized as one of the most important five palaces in the world (the other four are the Palace of Versailles in France, Buckingham Palace in the UK, the White House in the US and the Kremlin in Russia). In 1961 the Forbidden City was listed as one of the important historical monuments under the special preservation by the Chinese central government and, in 1987, it was nominated as World Cultural Heritage by UNESCO. 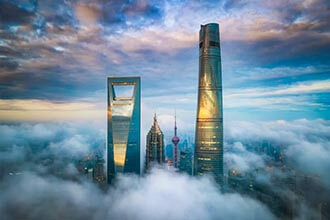 Search for coach tours to Shanghai and get the best deals on holidays and coach trips to Shanghai. Shanghai is the most populous city in China and one of the largest metropolitan areas in the world, with over 20 million people. It is located on China's central eastern coast at the mouth of the Yangtze River. Shanghai is China's most comprehensive industrial and commercial city, ranking the first in population and population density. As a tourist city, it attracts travellers from both home and abroad by its commercial activity rather than scenic beauty. 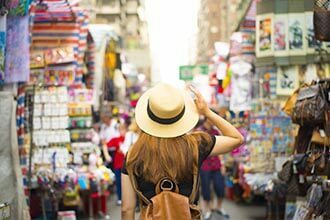 Search for coach tours to Hong Kong and get the best deals on holidays and coach trips to Hong Kong. Situated at the south-eastern tip of China, Hong Kong is ideally positioned at the centre of rapidly developing East Asia. Hong Kong, described as a 'barren rock' over 150 years ago, has become a world-class financial, trading and business centre and, indeed, a great world city. Hong Kong has no natural resources, except one of the finest deep-water ports in the world.